Correct Wheel Sizes, PCD, Offset, Rims and Tire specs for Chevrolet Van series. HI,Tim,yes,it can fit for.But make sure the 16'' rims is compatible. 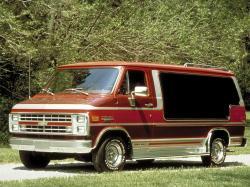 Had previously asked about doing an old school 80s van look on a 96 Chevy Mark3 high top. Thoughts on using 275 60s in back and 245's up front. Probably a 8 inch rim up front and a deeper 10 in the rear? Or would ive best sticking to like 245s all around?